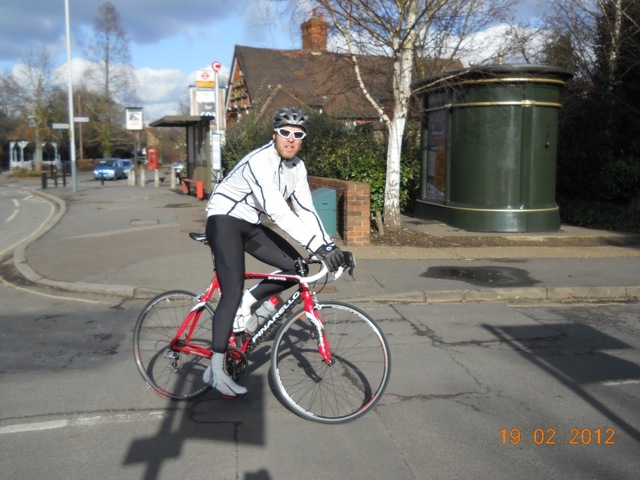 Paparazzi Purdy will be along with an array of photos from last Sunday’s Willesden CC Reliability Ride. In the meantime here are a few iPhone shots (courtesy of Ray Kelly ) to whet your appetite. 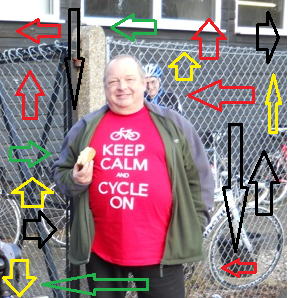 John “Willesden” Williams , the Reliability Ride Director and Chief Promoter arrives in non-Willesden apparel to avoid Paparazzi Purdy, blame and any payment of subs. 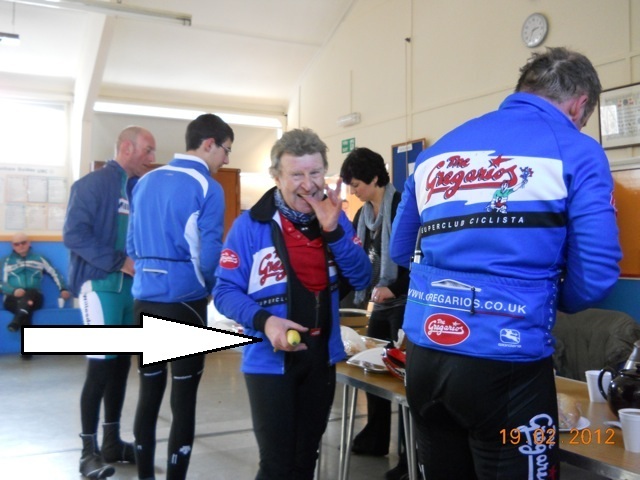 Danny of the Gregarios holds his own in the post ride bun fight. Danny later announced that the club name is to be shortened to Gregs in a salute to their fav cake shop. 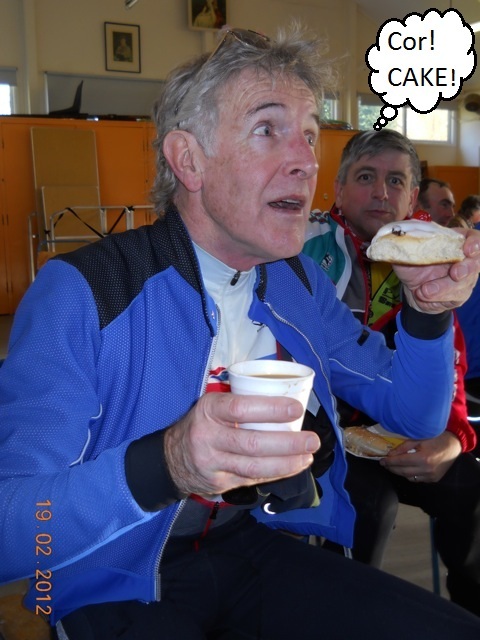 Cake envy breaks out as Mr Bannister taunts Mr Oliver with his cherry topped iced bun. You can indeed Nicholas. Get there early to give yourself plenty of time to get signed on and avail yourself of the fine refreshments.